Full size images of the beautiful illustrations in The Christmas Promise to use on big screens. Together with the hardback story book these images allow you to read the story while showing the pictures on a large screen so that everyone can see them. 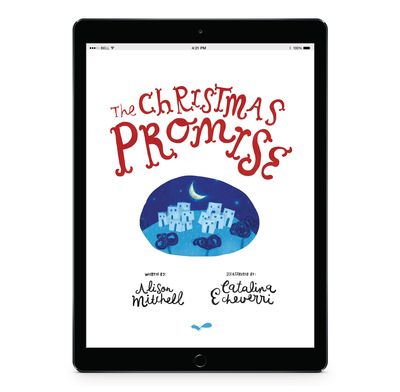 The Christmas Promise is a captivating retelling of the Christmas story. It shows how God kept His promise to send a new King. Superb illustrations by Catalina Echeverri and faithful, Bible-centered story-telling by Alison Mitchell combine to make this a book that both parents and children will love.